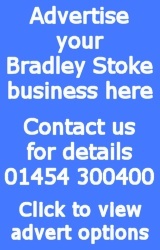 On this page we list the current status of work to bring superfast fibre broadband to areas of Bradley Stoke that are not served by the Virgin Media cable network. The remainder of this page relates to superfast broadband services over the BT network. To find out the current/projected availability of superfast broadband for your property, enter your telephone number into the BT Broadband Availability Checker. Look for the availability shown for the ‘FTTC’ (Fibre To The Cabinet) service. The result will also indicate the number of the street cabinet that serves your property (the absence of a cabinet number in the results indicates your are on an ‘exchange only’ line – see below). Note: If entering your telephone number doesn’t yield a result, try using the ‘address checker’ (you will find a link to this on the main checker page) and enter your house number and postcode. The cabinet number will normally be shown in the top line of the BT checker result, e.g. If the “is served by” part is missing, it means you are on an ‘exchange only’ (EO) line. The two lines “FTTC Range A” and “FTTC Range B” indicate when you will be able to order superfast broadband. If these lines are missing, you cannot currently order the service (from BT or any other ISP). 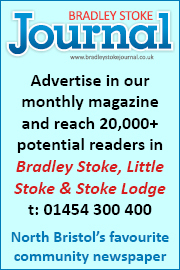 Please help us expand and update the information shown on this page by emailing your availability checker result (street/cabinet/FTTC availability) to broadband@bradleystokejournal.co.uk. Ready to order? 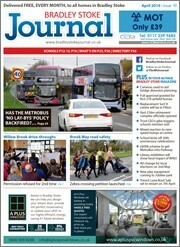 Check out The Journal’s Fibre Broadband Deals page. Currently, for EO lines, in order to install the new fibre in the most cost-effective way, as part of the council’s project we need to completely re-arrange the existing copper network in those areas, to make it possible to install new fibre-enabled cabinets. These EO lines will then be connected to the exchange via a new street cabinet, which will hugely improve speeds. 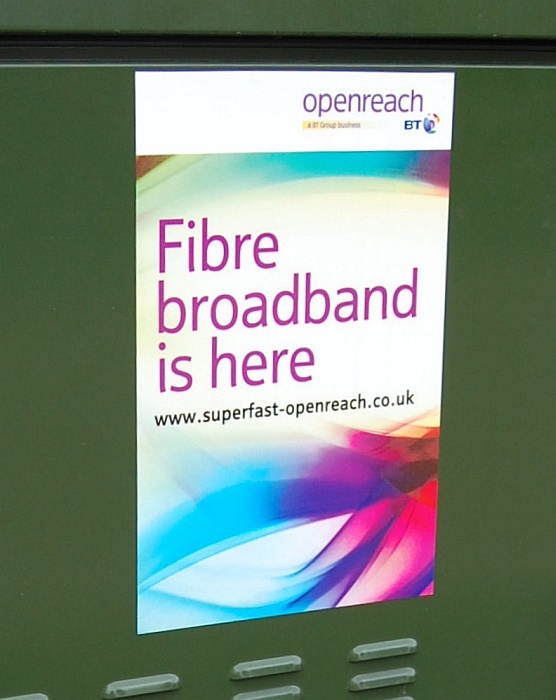 All cabinets installed as part of the Superfast Broadband Project will be live and ready for service by March 2015. N.B. In the information that follows, a statement that a cabinet “serves” a street does NOT necessarily mean that ALL properties in that street are served by the cabinet. Similarly, a statement that EO lines are known to exist in a street does NOT imply that ALL properties in that street are connected via EO lines. For a definitive answer, please use the BT Broadband Availability Checker (as described above) to verify the status of your line. Lines connected to the Almondsbury exchange are being upgraded through South Gloucestershire Council’s (SGC’s) state subsidised upgrade programme, in partnership with BT. 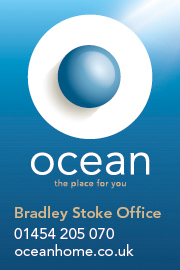 According to SGC, the first homes in Bradley Stoke will be able to order superfast broadband from “summer 2015” and all superfast upgrade work will be completed by May 2015. The SGC project will only benefit those in the ‘intervention area‘ that has been defined following a review of the commercial rollout plans of BT and Virgin Media. See also Where and When for lists of postcodes served by each fibre/enabled cabinet (work in progress). Status: Work due to start 21st February 2014 (source: roadworks.org). New cabinet now in position. Reported “live and ready for service” by SGC on 3rd April. Location: Woodlands, near turning into The Courtyard. Status: SGC postcode checker reports: “Not currently in the plans to be upgraded”. Work due to start 9th July 2015 (source: roadworks.org). Status: Work due to start 21st February 2014 (source: roadworks.org). Reader report of work being carried out on 24th February. New cabinet now in position. Reader report of orders being taken on 26th March. Reported “live and ready for service” by SGC on 1st April. Remedial works being carried out on cabinet between 16th & 22nd April (source: roadworks.org). Report of service being operational at a reader’s premises on 25th April. Reader report of “temporary lack of capacity” status being returned by the BT broadband checker on 8th December 2014; checker result showing predicted FTTC availability date of 15th January 2015. Capacity restored by 15th January 2015. Reader report of “temporary lack of capacity” status being returned by the BT broadband checker on 5th February 2015; checker result showing predicted FTTC availability date of 18th February 2015. On 14th April 2015, the BT broadband checker was showing FTTC as being “temporarily unavailable” with no projected date for restoration of capacity. Reader report of order being accepted on 16th April 2015. Serves: Honeysuckle Close and Primrose Close (plus other streets that are outside the SGC intervention area because they have access to the Virgin Media cable network). Also serves Kingfisher Close, which is outside the SGC intervention area, yet doesn’t access to the Virgin Media cable network. Status: Work due to start 6th June 2016 (source: roadworks.org). Status: Reported “live and ready for service” by SGC on 28th October. Status: Casing in position 18th July. Reader reports cabinet now showing in BT checker result on 15th September. SGC tweeted on 16th October 2014: “Almondsbury cab 30 currently in installation stage. Should be live in early December.” SGC statement on 24th October 2014: “Cabinet 30 should be live and ready for service by December 2014”. Reader report of an order being accepted on 15th December 2014. Reported “live and ready for service” by SGC on 26th December 2014. Report of service being operational at a reader’s premises on 6th January 2015. Serves: Blackthorn Drive, Cross Tree Grove, Diana Gardens, Fern Grove, Garrett Drive, Hawkins Crescent, Jordan Walk, Kemperleye Way, Linden Drive, Mautravers Close, Pimpernel Mead, Poppy Mead, Sages Mead, Savages Wood Road, Stevens Walk, Teasel Mead, The Beeches, The Culvert, The Spinney, The Willows, Three Brooks Lane, Willow Brook Centre, Fern Grove, The Beeches. Status: Casing in position 18th July. Reader reports cabinet now showing in BT checker result on 11th September. Reported “live and ready for service” by SGC on 19th September. List of postcodes served published by SGC on 8th October. Reader report of orders being taken on 19th October. A large number of customers reported this cabinet appearing in their checker result from 6th November (previously very few had seen this). Report of service being operational at a reader’s premises on 17th November. A number of readers who previously had FTTC showing as available now report that it has disappeared from their checker result, although if they use the less accurate address checker (rather than the telephone number checker), it is still there. Several people report FTTC appearing for first time in their checker result on 15th December 2014. Reader report on 20th October 2015 of checker returning: “This PCP has a waiters list for FTTC services. You may place an order which will be dealt with in turn.” Work to install an additional fibre cabinet at this location began w/c 30th November 2015. Status: Work due to start 27th February 2014 (source: roadworks.org). Reader report of work being carried out on 27th February. New cabinet now in position. Reader report of orders being taken on 1st April. Reported “live and ready for service” by SGC on 3rd April. Report of service being operational at a reader’s premises on 11th April. Status: Statement from SGC on 24th April: “Cabinet 34 will be surveyed in the next couple of months and should be ready for orders this Autumn.” Work due to start 26th June 2014 (source: roadworks.org). Reader report of work being carried out on 20th June 2014. New cabinet now in position (20th June 2014). Reported “live and ready for service” by SGC on 26th June (although stated that it may take up to two weeks before orders can be placed through ISPs). Reader report of fibre broadband (FTTC) service being shown as “available” by BT Checker on 17th July. Report of service being operational at a reader’s premises on 1st August. Reader report of “temporary lack of capacity” status being returned by the BT broadband checker on 19th December 2014; no projected date for restoration of capacity. On 19th January 2015, the checker result was showing a predicted FTTC availability date of 11th February 2015. On 11th February 2015, the predicted FTTC availability date changed to 11th March 2015. BT Checker showing fibre broadband (FTTC) available again on 3rd March 2015. On 19th May 2015, the BT broadband checker was showing FTTC as being “temporarily unavailable” with no projected date for restoration of capacity. BT Checker showing fibre broadband (FTTC) available again on 20th May 2015. Reader report on 20th August 2016 of BT saying they are unable to accept an order, despite the BT broadband checker showing FTTC as “available”. Status: Work due to start 12th February 2014 (source: roadworks.org). Reader report of work being carried out on 18th February. New cabinet now in position. Reader report of orders being taken on 26th March. Reported “live and ready for service” by SGC on 1st April. Report of service being operational at a reader’s premises on 11th April. Status: Casing in position 4th August. Reader reports cabinet now showing in BT checker result on 25th September. Reader report of orders being taken on 18th October. SGC statement on 24th October 2014: “Cabinet 36 should be live and ready for service by December 2014”. Report of service being operational at a reader’s premises on 4th November. Reported “live and ready for service” by SGC on 26th December 2014. Status: Work due to start 17th February 2014 (source: roadworks.org). Reader report of work being carried out on 21st February. New cabinet now in position. Reader report of orders being taken on 13th April. Reported “live and ready for service” by SGC on 15th April. Status: Work due to start 24th September 2014 (source: roadworks.org). Casing in position 26th September. SGC statement on 24th October 2014: “Cabinet 38 should be live and ready for service by March 2015”. Reader report of order being taken on 23rd January 2015. Status: Work due to start 17th February 2014 (source: roadworks.org). Reader report of work being carried out on 24th February. New cabinet now in position. Reader report of orders being taken on 26th March. Reported “live and ready for service” by SGC on 2nd April. Lines connected to the Filton exchange are being upgraded through BT’s commercial rollout programme, due for completion in Spring 2014. Location: Baileys Court Road, near junction with Ellan Hay Road. Status: FTTC service available from December 2013. Reader reports of “temporary lack of capacity” status being returned by the BT broadband checker for numbers connected to this cabinet in May 2014. Lack of capacity still being reporting in July 2014. BT Checker predicting availability from 23rd July 20th August 2014. 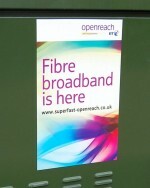 BT Checker showing fibre broadband (FTTC) available again on 5th August (but then unavailable on 6th August). Statement requested from BT. Work to “erect/renew cabinet” due to start on 12th September 2014 (roadworks.org). BT Checker showing fibre broadband (FTTC) available again on 11th October (but then unavailable again on 13th October). On 17th November, a spokesperson for BT said: “Capacity on Filton cabinet 44 has been increased and is now in service and is already taking further orders since being re-introduced.” A reader who had previously been unable to order due to capacity issues reported a successful installation on 25th November. Reader report of “temporary lack of capacity” status being returned by the BT Checker on 17th February 2015, with a predicted FTTC availability date of 18th March 2015. BT Checker showing fibre broadband (FTTC) available again on 6th March 2015. Reader report of “temporary lack of capacity” status being returned by the BT broadband checker on 7th March 2015; no projected date for restoration of capacity. On 14th April 2015, the BT broadband checker was showing a predicted FTTC availability date of 6th May 2015. On 22nd April 2015, the BT broadband checker was showing FTTC as being “temporarily unavailable” with no projected date for restoration of capacity. On 18th May 2015, the BT broadband checker was showing a predicted FTTC availability date of 3rd June 2015. BT Checker showing fibre broadband (FTTC) available again on 22nd May 2015. Status: Reader report of FTTC cabinet being installed on 11/2/16.